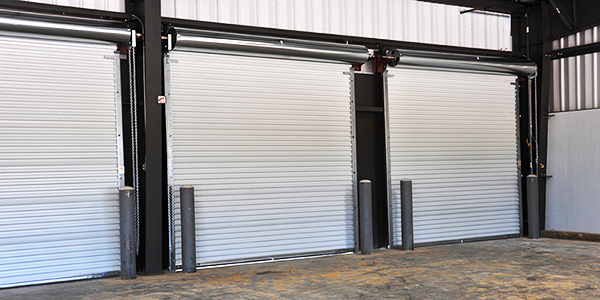 DBCI offers two steel roll-up doors ideal for light-duty commercial use in everything from warehouses and farms to recreational storage and auto body shops. Available with electric motors and multiple mounting options, the 1900 Series and 2000 Series are versatile and low maintenance. Perfect for high-traffic use, DBCI’s heavy-duty, commercial-grade metal roll-up doors are suitable for warehouses, loading docks, terminals and distribution centers. Our quality sets us apart; every DBCI commercial door features heavy-duty brackets made of .187-thick angle, a high-cycle spring life and continuous-duty design. Wind-load tested in accordance with IBC, FBC and TDI, our heavy-duty, commercial-grade doors are wind-certified to meet stringent building codes in coastal regions, including Florida and Texas.